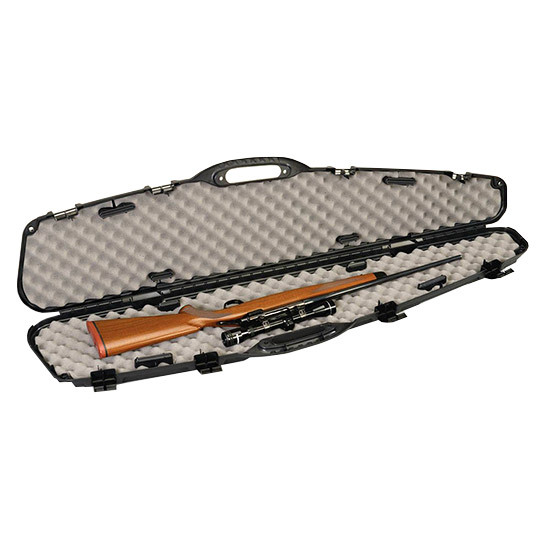 This case uses the patented Pillarlock which adds crushresistant strength to the case. It will hold a scoped rifle with a large objective lens. Thick wall construction heavy duty latches moldedin handles and padlock tabs.